Tamara Ghandour - Dreamer. Designer. Builder. Innovator. From being part of the elite group of TED speakers to completing three Tough Mudders (and counting), Tamara Ghandour's life is about breaking through the status quo for game-changing results. As the founder of a thriving business, GoToLaunchStreet.com - the online education and community platform that helps people innovate and differentiate in an oversaturated world, Tamara knows what it takes to drive growth and innovation in an ever-changing market-place. As the creator of the Innovation Quotient Edge (IQE) Assessment, Tamara has developed the only tool able to measure people’s natural innovation strengths and deliver insights and tools for performing at their peak, bringing more innovative ideas to the table, and being a high value team member. At 27, Tamara Ghandour was the youngest person ever named to a leadership position in a leading global advertising agency. If you’ve walked the aisles of Target, you’ve pushed your cart past products and brands that have benefited from Tamara’s innovative approach. She's influenced just about everything from Cheerios and Johnsonville Sausage to Procter and Gamble and Clorox. When companies like Disney, General Mills and RICOH want to up their innovation quotient, they call Tamara. She has run multi-million dollar businesses and launched a few of her own, learning from her successes and, most importantly, her failures. 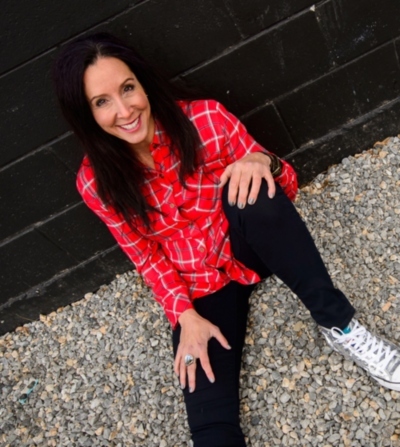 Tamara Ghandour has been featured on the TODAY SHOW, EO FIRE Podcast, the New York Times, Denver Business Journal, NBC 9News and on radio stations across the country. As a kid in computer camp, Tamara won the “I’ll try anything once” award - a motto she still lives by. REQUEST TAMARA'S MEDIA KIT TODAY.